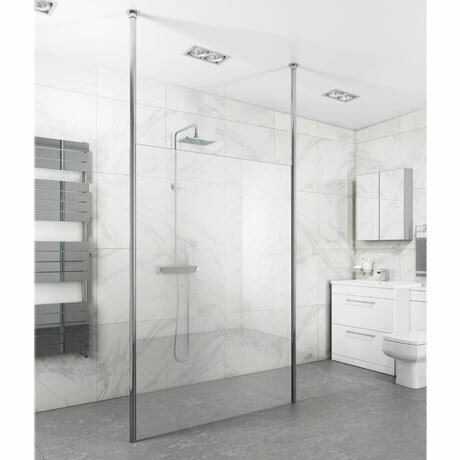 The stylish Toronto 8mm plain glass dual pole walk-through, great for a creating a fuss free minimalist luxury showering area in your bathroom. Screen has been manufactured from high grade 8mm thick clear toughened glass and comes with 2 floor to ceiling chrome retaining poles and fixtures. Please take note of the products width & line drawings before ordering. Please note: Pole can be cut to length at the top section.